From Luxury Bell Tents to Festihut Chalets, we provide a wonderful range of accommodation options across our exclusive 27 acre site. After the debut of our luxury furnished bell tents which completely sold out for Glastonbury Festival 2017 we decided to explore other accommodation options to provide our guests with for 2019 and beyond. We are really pleased to be offering the Luxury Tipi for the 2019 festival. 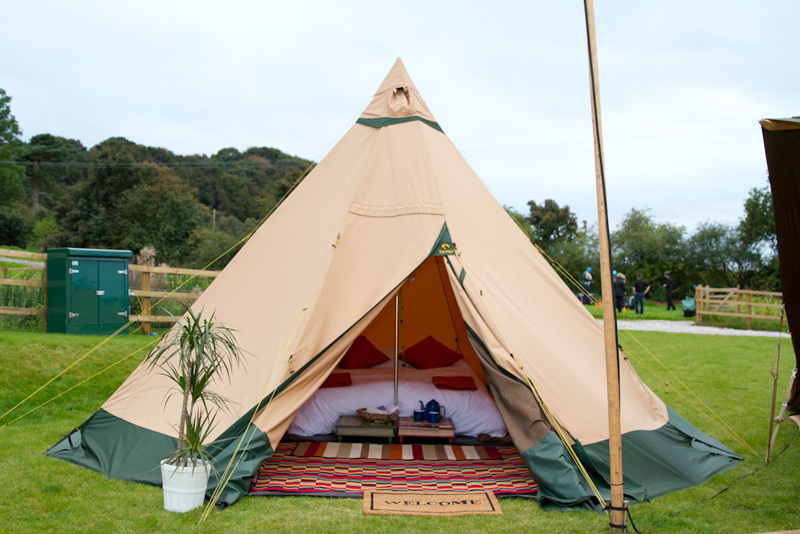 The Luxury Tipi sleeps 2 guests and includes real mattresses, full bedding and power supply for phone charging.